Are you upgrading or simply performing required maintenance? Many homeowners make investments in their homes thinking they’re upgrading the property when they’re just completing required maintenance. Much like replacing worn tires or a broken fan on your automobile, there are many such items in residential real estate. At the foundation of this topic are routine maintenance items such as cleaning gutters, having the HVAC unit serviced and trimming shrubs away from the structure to prevent rotten wood. These activities help to extend the life of the structure and your utilities but are not considered upgrades. The second level of maintenance to consider are when items have worn out or broken down. A leaking roof, a HVAC unit that’s not in working condition or a broken dishwasher would be examples. Unless otherwise stated in a real estate listing, it’s assumed that working appliances and functional HVAC units would be included with any home. Addressing any of these nonfunctional or functionally obsolete items would again be considered maintenance. While a new roof or HVAC unit might help your home sell faster or for more money than a home with older features, they are still not considered an upgrade. To consider these maintenance investments as upgrades, it’s my opinion that they would need to be superior to what’s expected in a similar house in the neighborhood or surrounding area. If the standard roof in the neighborhood is a basic three-tab and a homeowner installs a 30-year architectural shingle, then that would be considered an upgraded roof. If other homes have laminated countertops in the kitchen and the home owner installs solid surface countertops, then these would be superior to other homes and thus considered upgraded. As you prepare to make investments in your home, whether required maintenance or an actual upgrade, be careful not to over improve for your neighborhood. 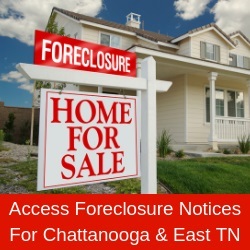 To gain insight into the norm for your area and learn what the return might be on choosing to upgrade, consult an experienced member of the Greater Chattanooga Association of Realtors. They can help you make informed investment choices based on what’s been selling around you and the prices returned. Unless you’re planning to enjoy the upgraded feature for a number of years, then generally it’s best to invest to the neighborhood norm. The Greater Chattanooga Association of REALTORS is a regional organization with more than 1,700 members. GCAR services Hamilton and Sequatchie counties in southeast Tennessee and Catoosa, Dade and Walker counties in northwest Georgia. Visit www.GCAR.net for more information.